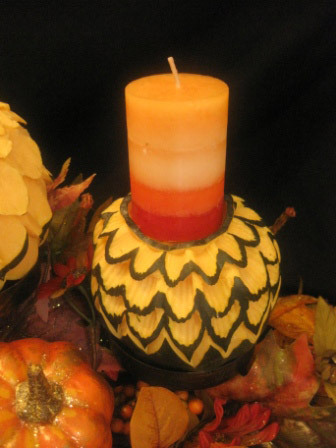 Decoration with carved squash and pumpkin are not just for Halloween. There are lots of ways to carve pumpkins and hard squashes that make them perfect for other fall festivities. In this article, I’ll show you how some of my students and readers have used carved pumpkins and other squashes for autumn parties. You might get some great ideas that you can put to use for your upcoming autumn celebrations, including Thanksgiving. 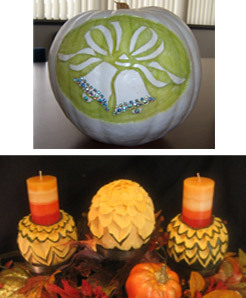 Take a took at how Kay Bullard carved some white pumpkins for a baby shower and with wedding themes. I happen to love things that sparkle and shine so I really like how Kay added some stick on rhinestones to her pumpkin. 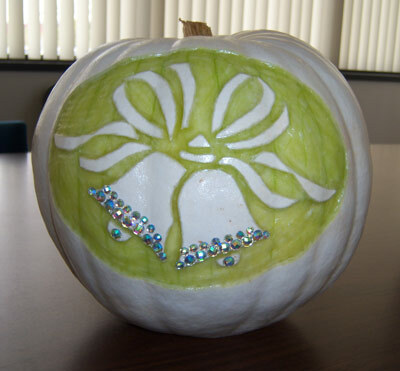 I love how Kay added the sparkle to the wedding bell pumpkin below, too. 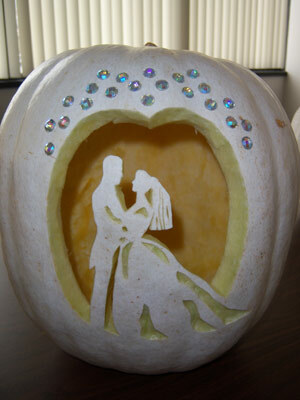 Kay Bullard also made this white pumpkin carved with wedding bells. Below you’ll see some creative use of another white pumpkin by Kay Bullard. 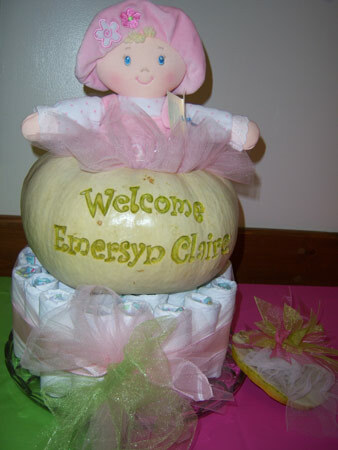 She added other non-food items to complete her her white pumpkin centerpiece for a baby shower. Cute idea isn’t it? Kay Bullard also carved these pumpkins for a fall farm celebration. You can use this type of pumpkin carving for any type of autumn themed decoration. Try carving a turkey or a cornucopia into a pumpkin for a pretty Thanksgiving centerpiece. 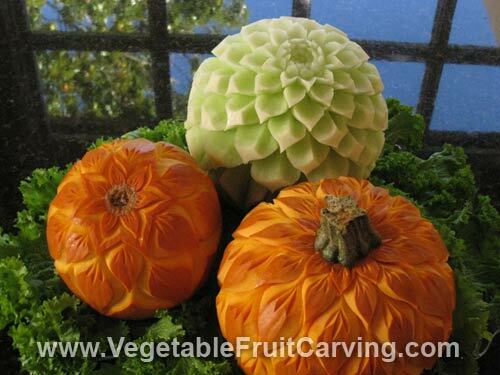 Don’t be afraid to mix things up in your fruit and vegetable carving centerpieces and displays. 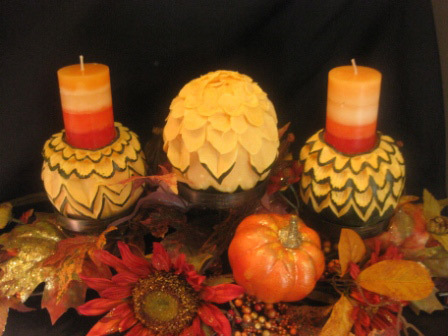 See how Aneta Lekas combined candles, flowers and fall leaves with her carved squashes to make these pretty autumn decorations. Here’s a closer look at one of Aneta’s candles. 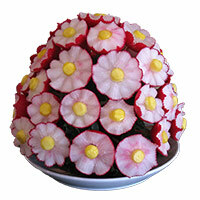 You can see that she used a corrugated u-cutter tool to carve the ridges in the petals of the carved squash. 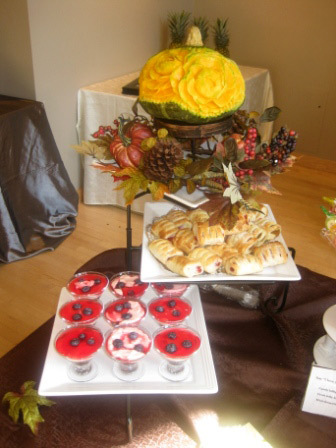 In this pretty dessert display, Aneta carved a kabocha squash with roses. I realize that you may not be able to see it so well so here in the photos above. So, you can see a closer look at a kobacha squash. 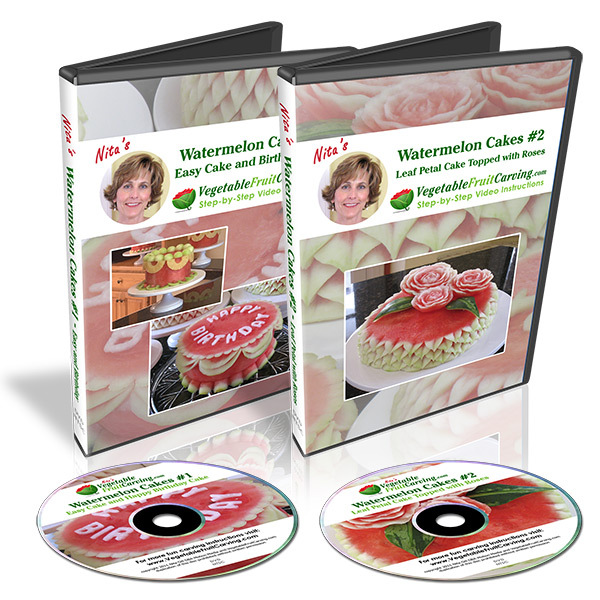 You can learn how to carve roses into fruits and squashed in my video lessons Carving Watermelons – Roses, Buds and Leaves. 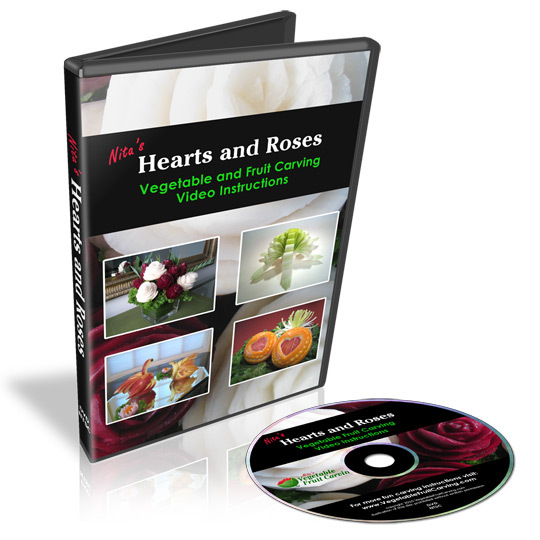 This lesson set is included in my Vegetable and Fruit Carving 101 Course for Beginners and in Nita’s 15 Lesson Collection. Here is another pretty pumpkin carving idea. I sometimes carve these for my Thanksgiving table. The following centerpiece I carved for last Thanksgiving. You can see more photos and details on my previous blog post about my Thanksgiving Centerpiece from last year. It includes a carved acorn squash, a small carved pumpkin and a butternut squash is used as a “vase’ for a variety of carved vegetable flowers including carrots, diakon, chili peppers, yellow squash and zucchini. This kind of display can be made for any Autumn celebration. Have fun creating your own pumpkin and carved squash decorations and centerpieces.